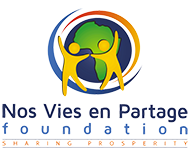 The Nos Vies en Partage charity was borne out of an initiative by Randgold Resources CEO, Mark Bristow, and the group’s senior geologists in 2010, soon establishing the NVeP Foundation in 2013. The foundation aims to tackle social development challenges that affect communities, specifically aiming to raise funds for those who do not benefit from African economic growth. Randgold Resources chief executive Mark Bristow led his fifth trans-Africa motorbike safari (the fourth under the Nos Vies en Partage banner) in a challenging cross-continental ride which began on the east coast of Africa in Mombasa, Kenya, on 1 June 2016 and ended in Muanda, at the mouth of the Congo River in the DRC, on 28 June. The 7 Boyz on Bikes took on the challenge of riding their Husqvarna 700s across a country with very little infrastructure, crossing the equator twice. The tough terrain took its toll on both riders and vehicles but the joy of being able to make a small difference in the lives of those children, and the appreciation of the men and women who set their own lives aside to take care of the less fortunate, offered the biggest reward. Titled Safari Kwa Afrika Bora, Swahili for Journey for a Better Africa, the 2016 ride aimed to raise $3 million for the Nos Vies en Partage Foundation, an independent charitable foundation set up by Randgold in 2014, and headed by the company’s former chairman Philippe Liétard. The foundation is mandated to help fight poverty in Africa, with a particular focus on needy women and children that have been left behind by society. Previous rides raised $2.5 million, which has been distributed to more than 55 entities in 15 different African countries. The Foundation has committed itself to the support of projects designed to support abused women and rehabilitate child soldiers as part of the DRC’s post-conflict reparation programme. Following the 28 day ride, Mark continued with donations in Senegal, Mali and Côte d’Ivoire, while conducting his annual exploration trip with the Randgold team ofgeologists, also on motorbikes.